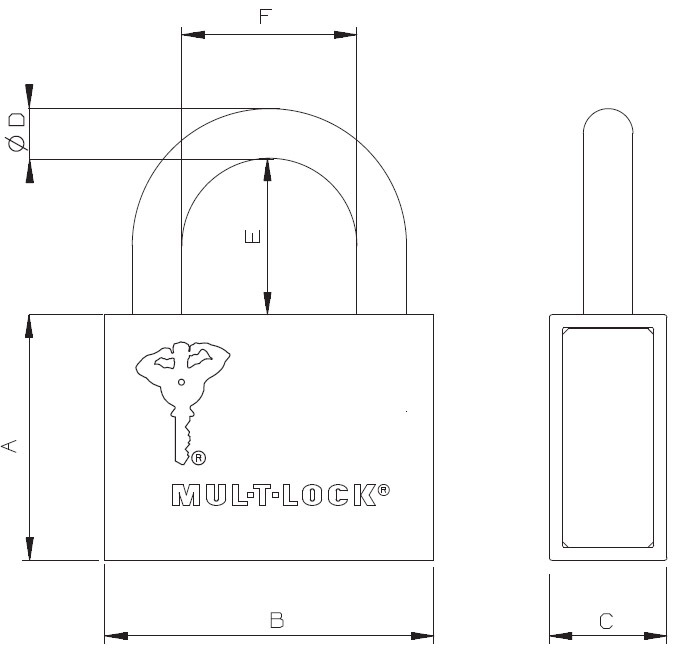 High security padlock great for hasps or heavy duty chains which accept 13mm sliding bolts. Excellent choice for applications requiring high bolt protection. Also great for general use with commercially available hasps or heavy duty chains which accept 13mm pins. May also be used for securing externally mounted spare wheels on vehicles (e.g.4x4).